It has been 34 years since Khawaja Khurshid Anwar, the doyen of Pakistani popular film music, left us. Convinced that owing to its vocal fluctuation, Subcontinental music could never be notated, the musical virtuoso weaved a gliding pattern reflecting complete tonal ascendancy. His philosophical mind inferred that tunes were as much a mathematical calculation as they are subservient to flights of fancy. He determined that the classical base of music should reflect in his compositions and accordingly devised a shruti (small tonal interval) meend (gliding) based style that more than adequately succeeded in vindicating his conviction. As a result, his tunes became never-ending combinations of haunts and dreams elegantly energized by curvaceous meends reflecting different emotions. He sucked in any raag, however different in tenor, into his domain of influence and moulded it. His intellectual depth gave a distinct angle to his compositions that were substantially different from his contemporaries. Although his musical scores are based on much utilised ragas like Durbari, Pahari, and others, his outstanding facility to capture uneven and extraordinary mood swings is reflected in Raat chandni mein akeli rendered by Zubaida Khanum for the film Zeher-e-Ishq. Being a gifted musical stalwart surrounded by traditional scions of musical lineage, Anwar was assisted in India by musical personages like Roshan (grandfather of Indian film star Hrithik Roshan) whose composition based on raag Aiman, Man re tu kaahe na dheer dhare, is rated to be the finest film composition ever produced. Anwar composed 76 tunes during his Mumbai stint, scoring an eternally soulful rendition by Suraiya, Jab tum hi nahin apne, composed in 1947. His tune in raag Pahadi, Papi papiha re pi pi na bol, sung by Suraiya featured flute accompaniment played by the legendary Bengali flautist, Pannalal Ghosh. The extraordinary flair of flute accompaniment irreversibly convinced Anwar to rank the flute as the most expressive of human feelings, much like he rated the violin being the closest to human vox, a conviction that is manifest in all his compositions. Another mega hit was Jeene ka dhang sikhae ja based on raag Bhairavi and effortlessly sung by K L Saigal despite a variation in rhythm (to test or tease the legendary singer! ), particularly in the longer part of the asthai (opening verse). Although he intermittently composed for Indian films till 1952, Anwar could not resist joining his loved ones in Lahore — leaving the musical playing field in Bombay open to his contemporaries such as Naushad and C Ramchandra. He probably indulged in soul-searching for sometime before embarking upon his journey in Pakistan. That explains the hiatus between 1952 and 1956 when his first film in Pakistan, Mirza Sahiban, was released. Anwar then showed his mettle in film Intezar in 1956 whose seven out of nine songs were instant hits. A festive Chun chun nachoongi has a very agreeable mid-rhythm tora (break) along with phonetically pleasing pieces of mandolin. Sawan ki ghanghor ghatao has a distinctive sound-effects regime, revealing the composer’s complete mastery over orchestration and arrangement. Mohe piya milan ko jaane de from film Zeher-e-Ishq, sung by Naheed Niazi and set in raag Pilu, a Kafi Thaat raag standing on its own. Invented by Muslim Gunis (ballad singers whose innovative tunes were later incorporated into raag patterns), it is a mixture of Bhairavi, Bheemplasi and Gauri. Another gem – two versions of which were sung by Naheed Niazi, Najma Niazi, Noor Jahan and Munir Hussain – for film Koel is Rim jhim rim jhim pare phuwaar. Naheed Niazi’s soft voice was also utilised for film Jhoomer’s Chali re chali re chali re in Khamaj Thaat-based raag Des, suitable for a female voice-based composition. Yet another masterpiece was Mujhko awaz de tu kahan hai sung by Mehdi Hasan for film Ghoonghat composed in Bhairavi Thaat of raag Asawari, evoking a forlorn feeling of loneliness. Anwar’s film music output appears small, but he was conscious that his brand would shine in short spurts. With vast opportunities available to him, he abstained from churning out run-of-the-mill numbers. This can be gauged from the fact that he composed music for only 29 films in a career spanning around four decades. In comparison, his contemporaries in India such as Anil Biswas, Naushad, Salil Chaudhry, Roshan, S D Burman, C Ramchandra and Madan Mohan, and in Pakistan like Rashid Attre who died young, G A Chishti and Master Inayat Hussain, though prospered, could not attain the individuality achieved by Anwar. The time between his compositions (11 films in as many years in India and 18 films in 26 years in Pakistan) underscores a certain aloofness characterising his work. He composed a measured 223 songs for 29 films; 76 in pre-Partition India and 147 in Pakistan, with an average of more than seven songs per film. Partition rejuvenated Anwar’s repertoire; of the 147 songs he composed, 55 of them were runaway hits. Many of his songs became megahits, such as 10 of the 11 numbers from the film Koel and seven out of 10 from the film Heer Ranjha. Some of his tunes entered the realm of classics, like two compositions from Koel sung by Noor Jahan. The first was Dil ka diya jalaya based on raag Jaijaiwanti of Khamaj Thaat, suited for heavy Dhrupad singing, which Anwar set in Keherwa taal. The second was ‘Sagar roye lehren shor machayen’ based on raag Tilak-Shyam which is a combination of raags Tilak-Kamod and Shyam-Kalyan. Both these compositions are full of murkis (quick taan like movements) and behlavas (slow rendition of notes) exquisitely conceived by the composer and effectively rendered by the singer. 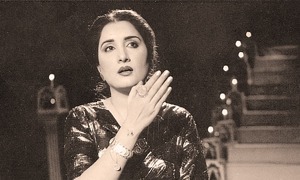 Anwar’s classical grip is amply revealed in the unique composition Jis din se piya le gaye for film Intezar performed by Noor Jahan based on the rarely used raag Mian Ki Todi, an intricate raag of female disposition involving taan paltaas (variations) but which Anwar formatted straight. The novelty of his musical mind made him compose Dil ki baat batayen kis ko in the very intricate and seldom used raag Bilaskhani Todi, the legendary grief-stricken raag created by Bilas Khan after his father Mian Tansen’s death, moving the corpse to wave its hand in approbation! Anwar’s virtuosity is also evident in the hybrid composition for film Chingari sung by Noor Jahan, Kabhi tum bhi hum se thay ashna, alternating between raags Aimen, Bhairavi and Shankara. Playing the flute on the Raag Kaafi-based ‘Wanjli Di Mithri Taan’ from the film Heer Ranjha could be the dream of any flautist. The amazing complexity of Anwar’s genius made him attract challenges as is amply reflected in an unusual song sung by Mehdi Hasan for film Ghoongat, ‘Ae Roshniyon Ke Shehr Bata’. It is composed in an obscure Kaafi Thaat raag Kaunsi kanara, a mixture of Malkauns and Dhanasari, that only Anwar could have attempted. He exploited Noor Jahan’s dramatic dialogue delivering capacity in film Salam-e-Mohabbat’s song Salam-e-mohabbat bara khoobsurat bara dilruba ha, with its sensual undertones and the subtle inflection of the word 'tamasha’ undertaken between a straight rhythm. This composition, also sung by Ahmed Rushdi, employs a modern orchestration style in line with prevalent trends. In the same film, Anwar brought out the kharaj (bass) in Mehdi Hasan’s voice by lowering the scale by half a notch in Sulag raha hun badalon ki chaaon mein. One of his compositions in film Parai Aag, Mohabbat ki qasam tumko kiye wade wafa karna, is an upbeat tune that substitutes words with music after an antara culminating in a high-pitched ending. Apart from his decisive tilt towards Noor Jahan based on genuine appreciation of her talent, Anwar was not singer-centric like his illustrious contemporaries such as Naushad, S D Burman and Madan Mohan. His 76 compositions in pre-partition India were sung by no less than 25 singers, the prominent ones being Saigal, Suraiya, Geeta Dutt, Shamshad Begum, Asha Bhosle and Mohammed Rafi (he sang one song only). In Pakistan, Noor Jahan topped the list, singing 58 of Anwar’s 147 tunes. The rest were sung by 23 singers including Fateh Ali Khan, Mehdi Hasan, Ghulam Ali, Saleem Raza, Ahmed Rushdi, Mehnaz and Nayyara Noor. He was cautious about using Noor Jahan too frequently as is evident by the time gaps between her singing his songs: Intezar (1956), Koel (1959), Ghoonghat (1962), Chingari (1964), Haveli (1964), Sarhad (1966), Hamraz (1967), Heer Ranjha (1970) and Salam-e-Mohabbat (1971). She was not invited to sing in seven of the 19 tunes he composed between 1956 and 1982. Though employing a number of different singers to render his tunes, Anwar was rather particular about choosing lyricists. In pre-partition India, Dina Nath Madhok wrote a number of songs for him while Nakhshab Jarchvi also contributed along with Hasrat Jaipuri, Shakeel Badayuni, Zia Sarhadi and Zaheer Kashmiri. 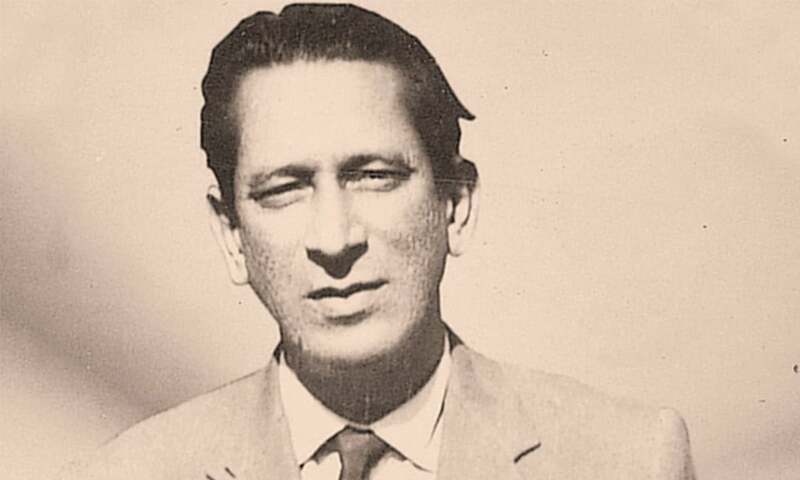 But in Pakistan, for his Urdu compositions, Anwar stuck primarily to Qateel Shifai and Tanvir Naqvi along with one song each from Faiz Ahmed Faiz, Tufail Hoshiarpuri and Habib Jalib. Ahmed Rahi wrote Punjabi numbers in a rural eastern Punjab-based dialect for Anwar. Faiz’s song for the film Ghoonghat, Moray piya ko dhoond ke lao sakhi, sung by Noor Jahan, was written in a traditional Purbi vernacular (Western Standard Bhojpuri) embellished by poignant shehnai pieces with rhythmic adjustments in antaras. Anwar employed a multiplicity of musical instruments in his repertoire, played by artists rated very highly in their respective trades. At the outset of his career, he asked Ustad Sohni Khan, disciple of Ustad Tawakkal Khan from whom Anwar learnt classical music, to play clarinet in his very first film, Kurmai, in a Punjabi number, Dil enj enj karda, sung by G A Durrani, a versatile Pakhtun singer. Master Manzoor played tabla on most of Anwar’s compositions in Pakistan. Wazir Afzal played mandolin on Anwar’s tunes and was very proud of the lines he played in the song Tu chor mein teri chori balocha haaniya in the film Heer Ranjha sung by Irene Perveen. Khadim Hussain, a flautist par excellence, immortalised the tune, Sun wanjli di mithri taan wey, of film Heer Ranjha sung by Noor Jahan, through his resonant prowess. Sain Ditta Qadri, another accomplished flautist, also embellished Anwar’s tunes with mellifluous results. Ustad Salamat Hussain played flute in Anwar’s signature Raag Bhairavi-based Noor Jahan and Mehdi Hasan duet for film Sarhad, Chand tu jab bhi muskarata hai, which is a lesson in controlled delivery within laid down theka (rhythm). Anwar also worked with outstanding instrumentalists during his career in pre-partition India such as the legendary Pannalal Ghosh on the flute, Ghulam Muhammad on tabla, Ram Prakash on trumpet and Abdul Haleem Jaffar Khan on sitar. Anwar paid special attention to orchestration as is evident from him acquiring the services of Mian Qadir Bukhsh Pakhawaji – teacher of famous tabla player Ustad Allah Rakha who is the father of world renowned Zakir Hussain – in the song Ghanghor ghatao sawan ki in film Intezar. He was also meticulous about arrangement, making frequent use of counter melodies as is used in western classical music practices of harmony, cadence and obbligato — first inducted in film music of the Subcontinent by the legendary Goanese music arranger Sebastian D’ Souza in the 1950s. These enrichment techniques also included inducting violin obbligato (an attendant background motif), playing a counter melody on the cello and providing a choir effect. Although meend necessitated heavy reliance on violin, Hawaiian guitar and flute, Anwar used other instruments like piano, sarod, mandolin, sitar, shehnai and clarinet. He was celebrated for initiating a hummable title (mukhra) of a composition that was elaborated on by his lyricist. He would also decide rhythmic patterns that usually remained straight (theka) except where a break (tora) was necessary or a fluctuating beat was considered important. Anwar was thoughtful and employed exclusivity while scoring for films much like he did composing songs for them. He was conscious of the sound quality of musical effects; throughout his film Chingari, he heightened the central idea of the film by providing western music pieces via clarinet, organ and guitar. The classical motif on the film Koel was supported by effective recital of raag-based sitar, flute and violin. The title theme of film Intezar is itself a composition full of merit and melodic surprises. Similarly, the title theme of film Salam-e-Mohabbat is a detailed affair. Film Heer Ranjha opens with a lovely rendition of Heer by Noor Jahan. Flute and sitar interspersed with organ pieces played a dominant part in the entire background music regime. He made elaborate arrangements for background music instead of leaving it to haphazard pieces of reed and church organs. Anwar’s creative facilities were not satiated by success in films. He was committed enough to concentrate on his novel understanding of music. He was acutely aware of the inadequacy of preserving intricacies of oral traditions of classical music in the Subcontinent, transferred from generation to generation and kept secret by traditional proponents. He was of the view that elements of voice culture, principles of melodic development, history of compositions and vocal exercises are shrouded in mystery and that it was essential to bring them to the fore. Tansen, the demigod of music, appeared as a mythical character because no archival material or public documentation of his compositions is on record. It is assumed that Khayal must have evolved from Dhrupad as Thumri evolved from Khayal but there is no documentary evidence to substantiate that. Similarly, the instrumental regime must have been based on subdivisions of various taals (beats) and their qaidas (models), but again there is no documentation to prove it. He was of the view that the secretive guild-like nature of musical instruction has already considerably deprived it of its rich traditions and, in absence of any remedial action, may further deplete its treasure. The above factors motivated him to compile his magnum opus Aahang-e-Khusravi, a resume of the entire base of classical music of the Subcontinent. This unique audio collection, recorded and issued by EMI in 1978, comprises two parts: raag Mala (garland of raags) is a compendium of 10 volumes containing 94 ragas in 10 thaats with a short introduction of each raag by Anwar himself; and Gharano Ki Gayeki (vocal traditions of singing houses) secured in 20 volumes containing recordings of artists of main gharanas (singing houses) in Pakistan. This anthology of vocal khayal (nodal thought) performed by Pakistani ustads is accompanied by sarangi and tabla. The 10 parent scales (thaats) of classical music are defined in this compendium through further definition of their subdivisions in 93 ragas: Kalyan (15 ragas), Bilawal (12), Khamaj (12), Bhairov (12), Bhairavi (3), Todi (5), Asavari (7), Marwa (5), Purbi (6) and Kafi (16). It’s a ground-breaking exposition of classical music that has been widely lauded but, sadly, not propagated. The writer is a former member of Foreign Services of Pakistan and currently runs an academic training institute in Karachi. Absolutely wonderful write up on the master musician.